I’d like to start this post by saying that Aldi is the devil! Every time I go to that store, I find something I don’t need, but somehow I have to have. This week it was a donut maker…who knows what next week will bring!! 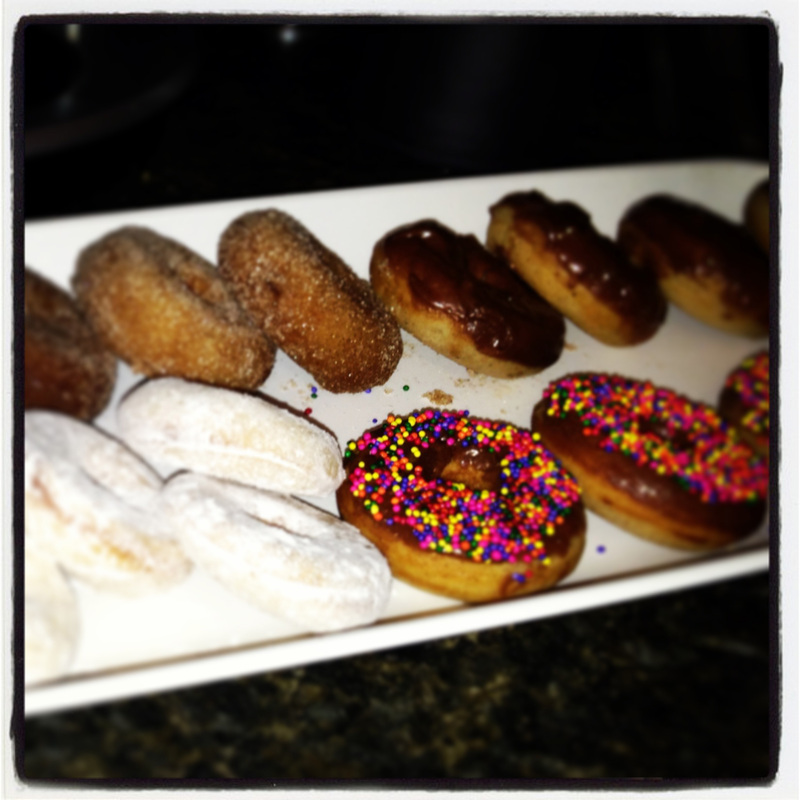 But..I digress, so after much ado, I give you these delicious mini donuts!! OK, so it has been a long time since I’ve done a blog post…do not blame me, blame my new job!! I am finally getting acclimated to my new schedule, and able to take a some time for you, my adoring fans…all 9 of you! LOL! Anyhoo, thanks to my new later schedule, I now have time for breakfast in the morning. While I try to keep it fresh and healthy (i.e., fruit, yogurt, green smoothies…) some days I just want a donut and some coffee. The thing is, I’m not going to be up at 5:00 am frying donuts, and I have made a decision not to eat out for the entire month of May, which means I had to find a way to make them at home. 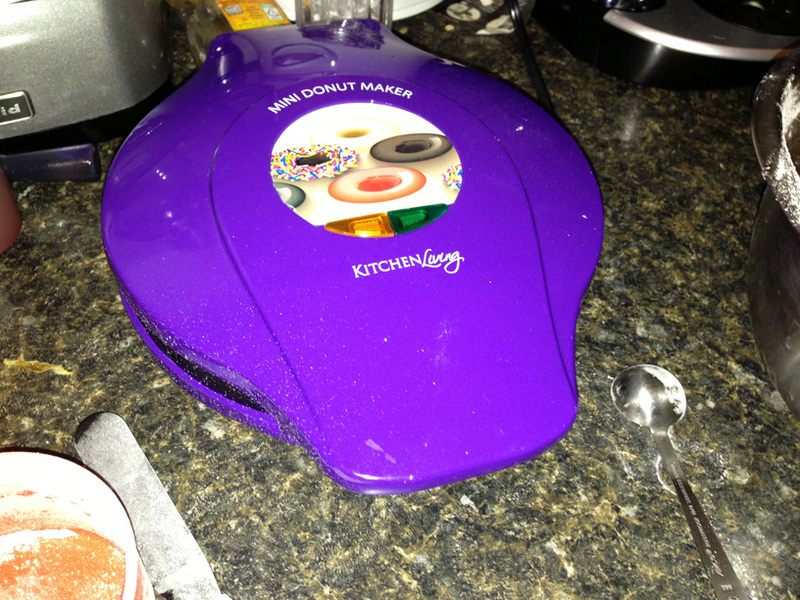 Don’t you know the other day, while shopping at Aldi’s I found a mini donut maker for $9.99!! I love that store!!! I mean I really love them. So, donut maker in hand, I now had to find the perfect recipe. Here is where the fun comes in. While I found several recipes, many called for buttermilk, which I didn’t have on hand and I didn’t want to go to the store. It was Sunday and I was in my jammies…so I needed an alternative. Which brings us to attempt numero uno! I had a box of churro mix in the cabinet, and got the bright idea to use that instead. I mixed it with extra water, put it in my machine…waited excitedly…doing the OMG this is going to be so tasty dance…then I went to the machine…this was awkward! Apparently, churros are fried for a reason…I learned that lesson today, moving on! So back to the drawing board…to the world wide web I go!! Again, most of the recipes called for buttermilk, and I just was not about to leave the comfort of my comfy Christmas pajama pants…so I searched some more. Then I found it! Nana June’s Granny School blog had a simple recipe for baked mini donuts, that did not require buttermilk! Yay…so, with some slight modifications, I was able to make these delicious, tiny little treats! The recipe was easy and yummy!! I hope you enjoy them as much as I do! The Best Mini Baked Donuts! In a small pot, mix together the wet ingredients. With the flame on low, mix all ingredients using a whisk, stirring frequently, to prevent the egg from scrambling. 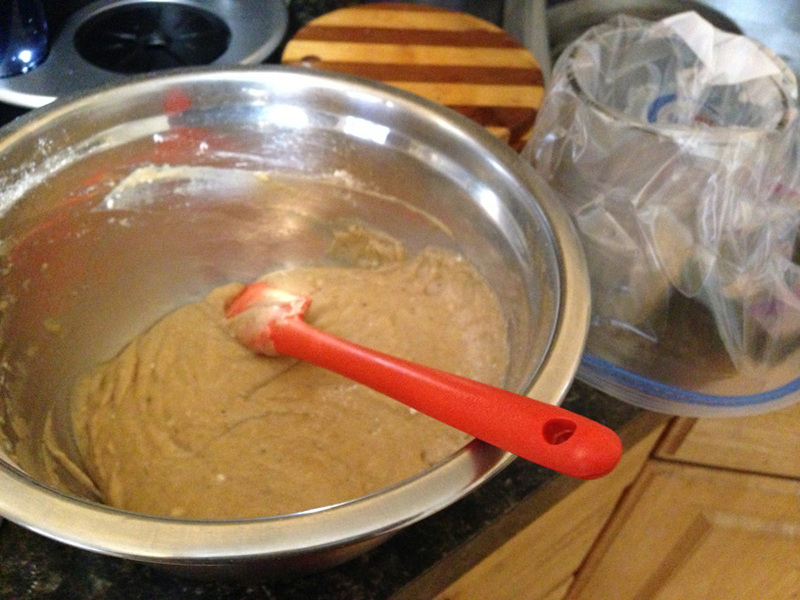 Pour the wet ingredients into the bowl with the dry ingredients & lightly mix until just blended. 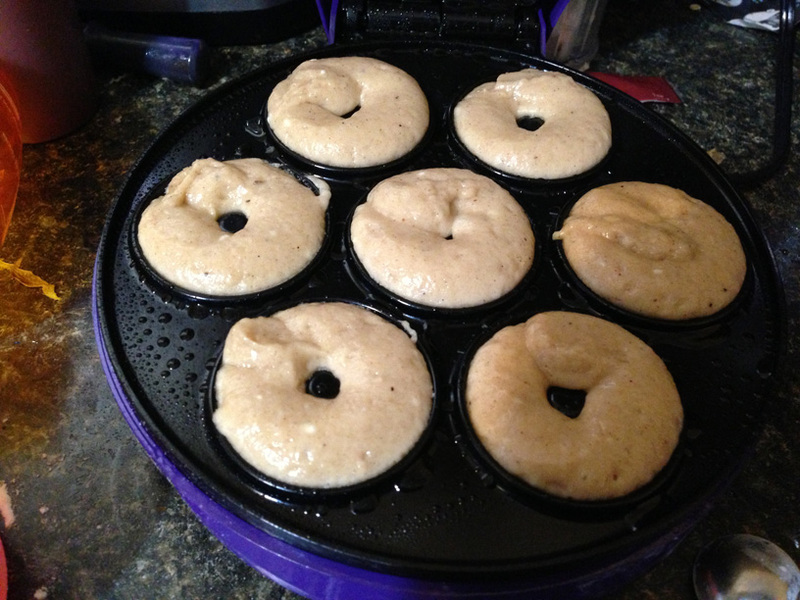 Now, I have a donut maker ($9.99 at Aldi), so I baked my donuts in my cute little machine! What I found was the easiest way to fill the pan, was the use of a pastry bag. 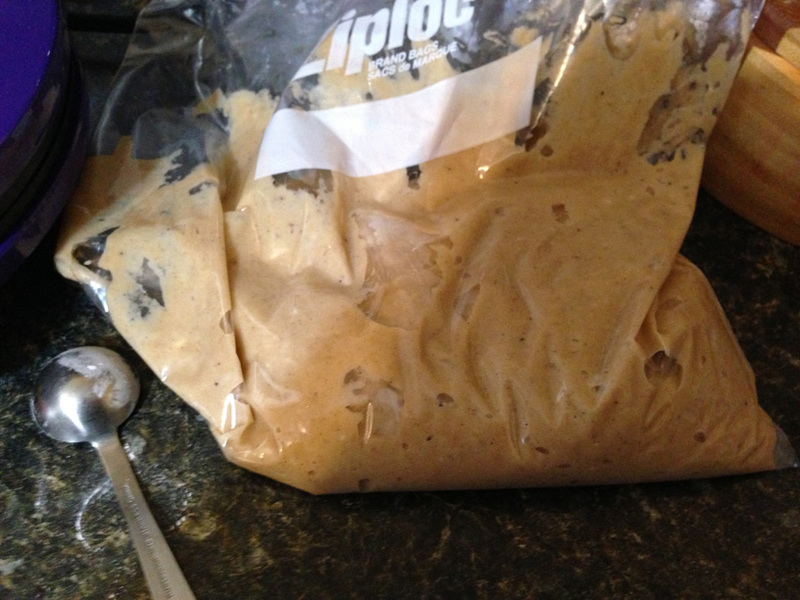 If you don’t have a pastry bag, a large Ziploc bag with the corner snipped off will work. After snipping the end off of your bag, pipe donut filling into the pan. I filled my donut wells pretty full, I found when I did it 3/4 of the way, the donuts were just too tiny. *Note, if you have a mini donut pan, you would follow the same instructions, except you would bake your donuts in a pre-heated 350 degree oven for 10 – 12 minutes, until done. Now these donuts are delicious as they are, straight out of the pan, but I wanted a little “extra” So for the first batch, I dipped them a bit of melted butter, and then tossed them in cinnamon sugar. The second batch, I tossed in powdered sugar, and the last batch i frosted chocolate, some got sprinkles. All were DELICIOUS!! !